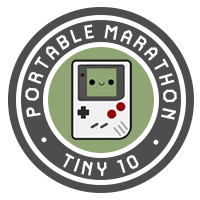 Having some trouble keeping up with the new world records for Game Boy speedrunning? We have you covered! Today we bring you some news in a few different game categories: the shmup TaleSpin, the "puzzle" game Bubble Ghost and the RPG Ultima: Runes of Virtue. Check out these amazing runs and give the runners a follow, won't you? Runners comments: Deathless run, only mistake was minor movement optimization. The time could also be brought down by about 6 seconds by performing a glitch on Halls 9, 25, and 33 where you die at the same time you trigger the exit to the previous floor. It seems really precise, and inconsistent because of the way speed works in this game, the trick skips you to the end of the hall, but doesn't save much time because of the death animation. Runners comments: Pretty bad run. Sub 50 soon!